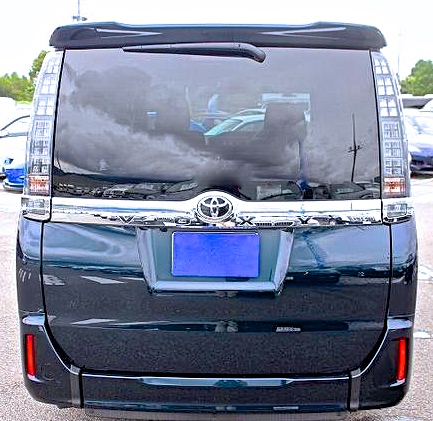 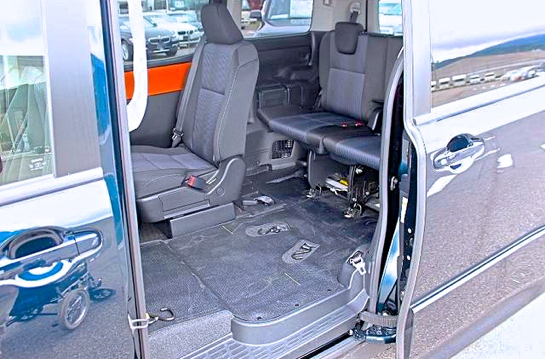 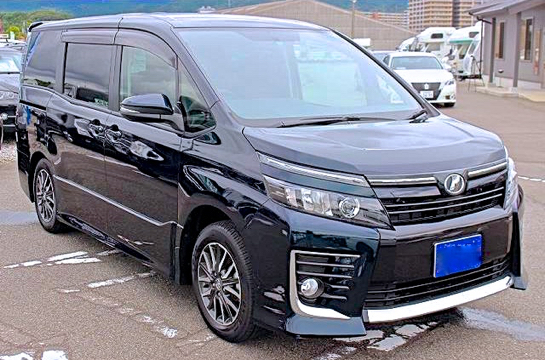 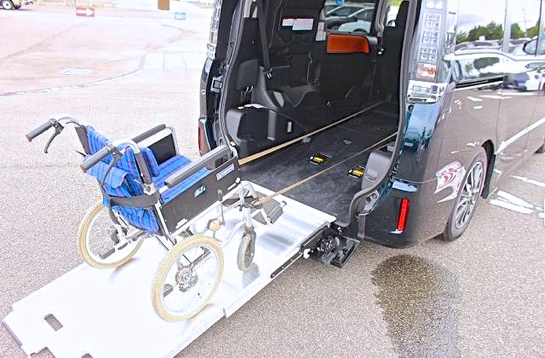 The Toyota Voxy represents the upper end of luxury wheelchair accessible vehicles. 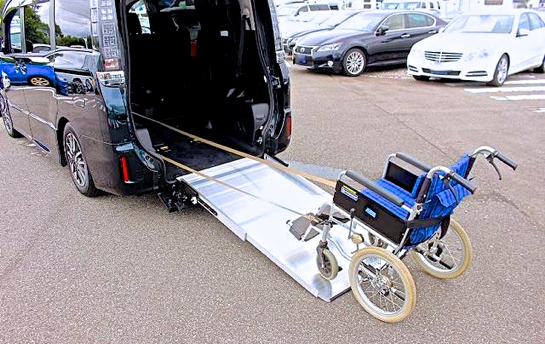 This wheelchair minivan is in stunning condition with only 75 delivery miles on the engine, and for those of you that know this car has not even had its engine properly run in yet. 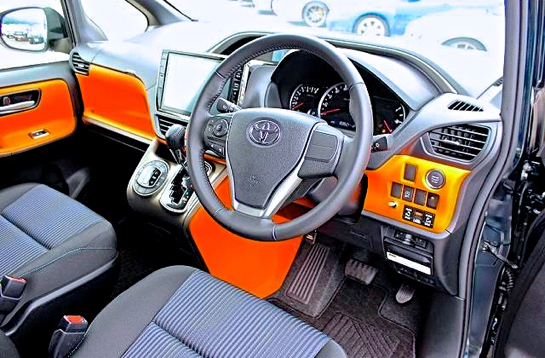 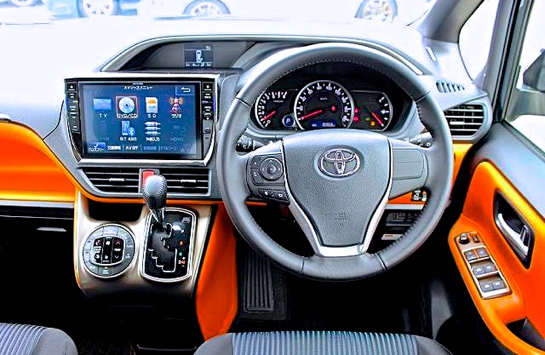 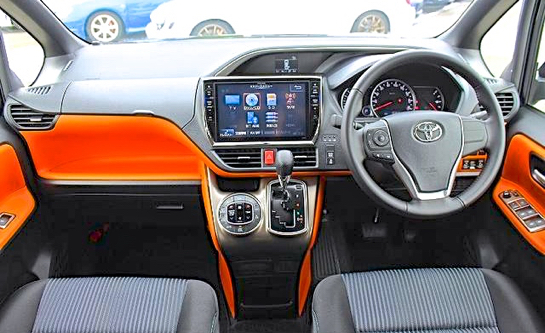 The car is a stunning metallic Midingiht Blue in colour and is loaded with Toyota extras, all as standard. 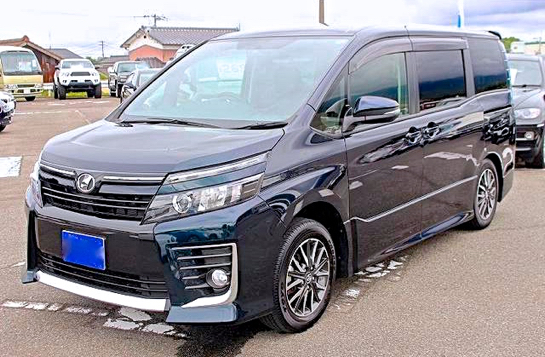 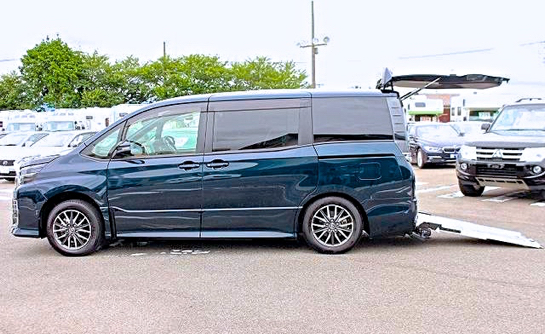 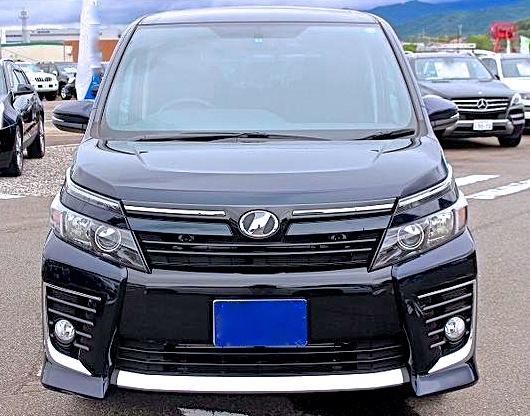 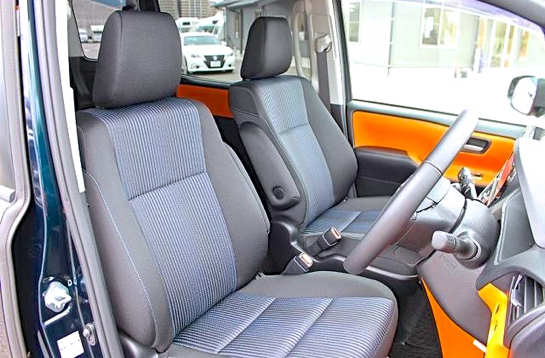 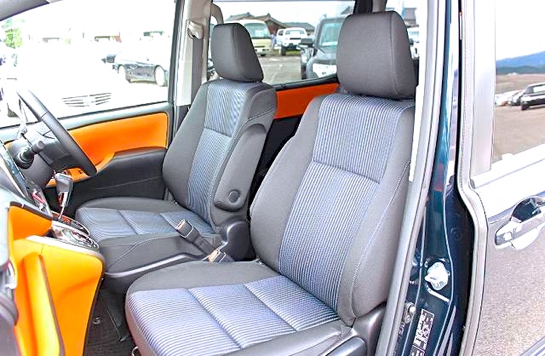 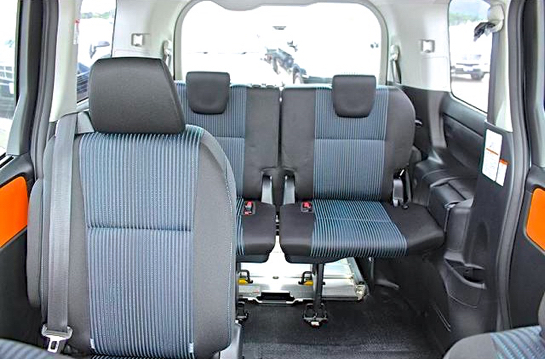 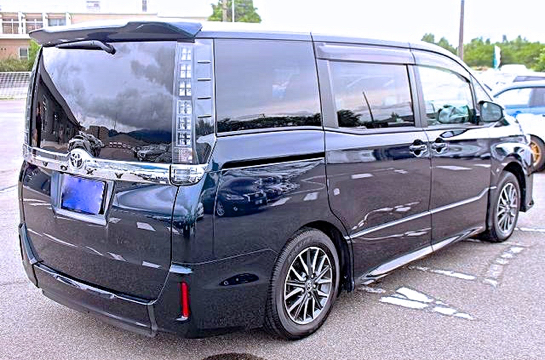 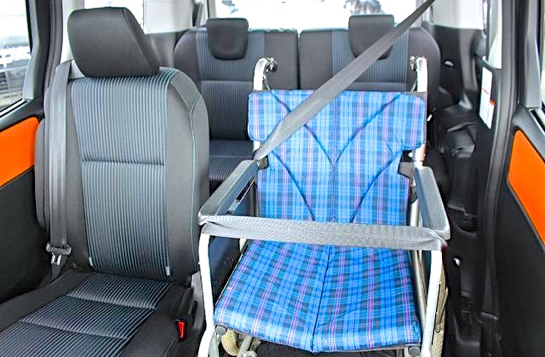 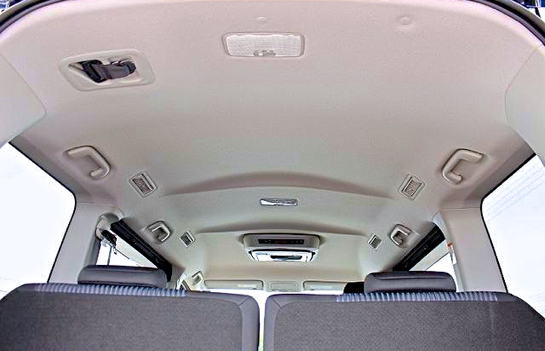 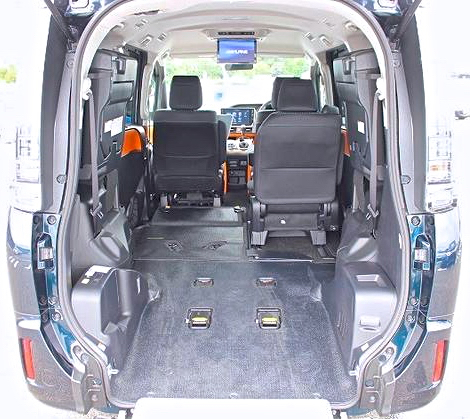 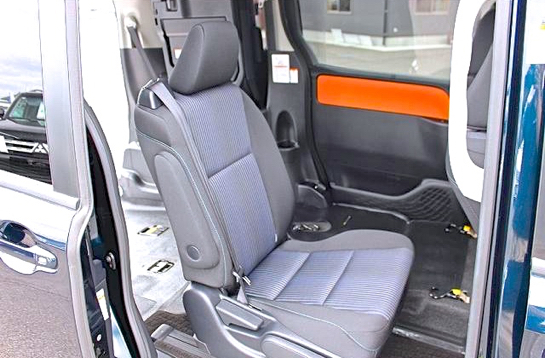 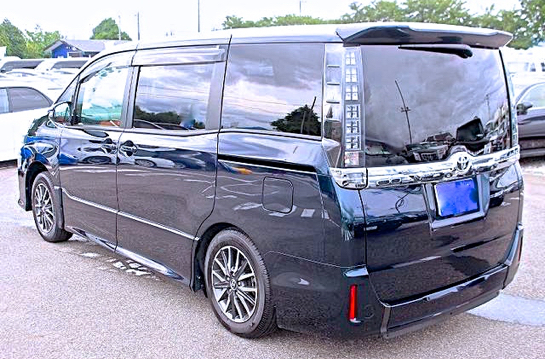 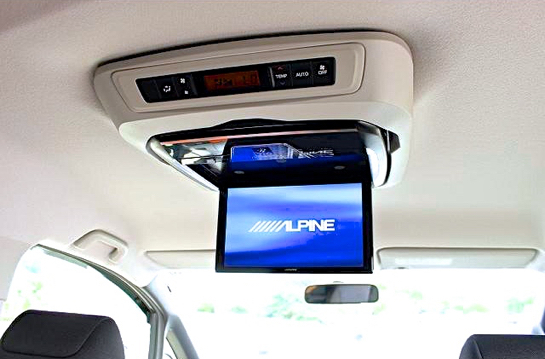 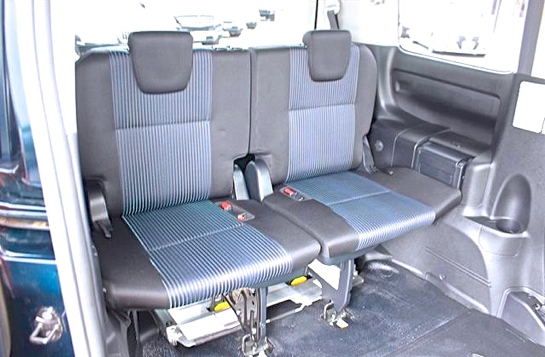 Of course one of the huge features of this minivan or car, what you may like to call it, is that it is a 7 seat car. 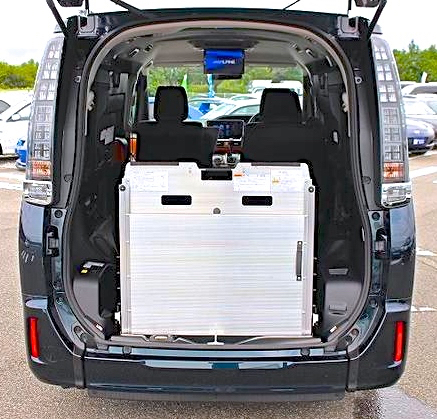 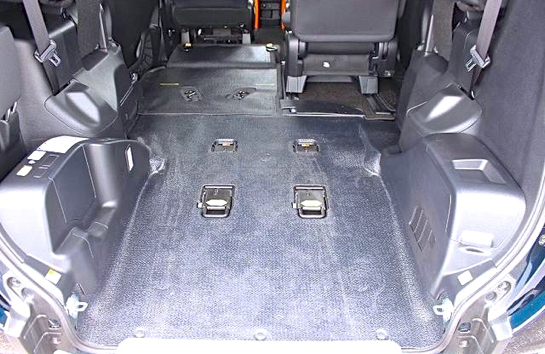 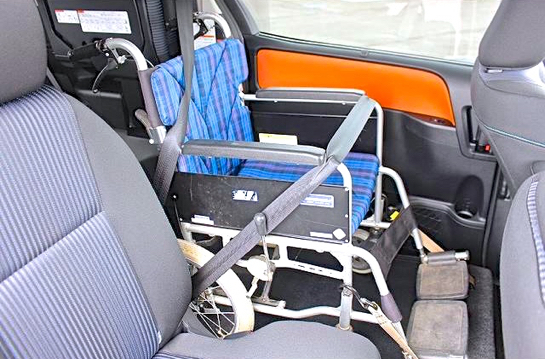 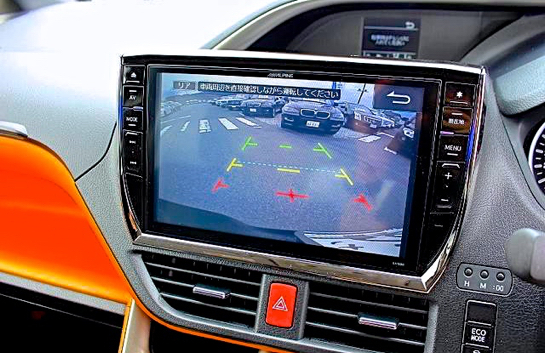 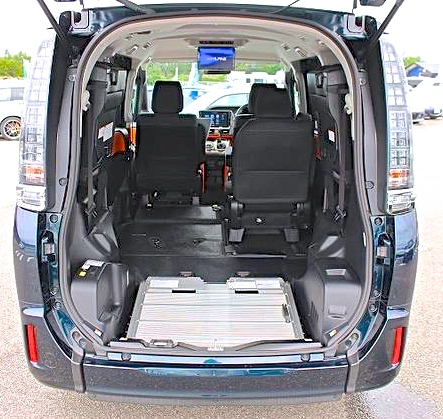 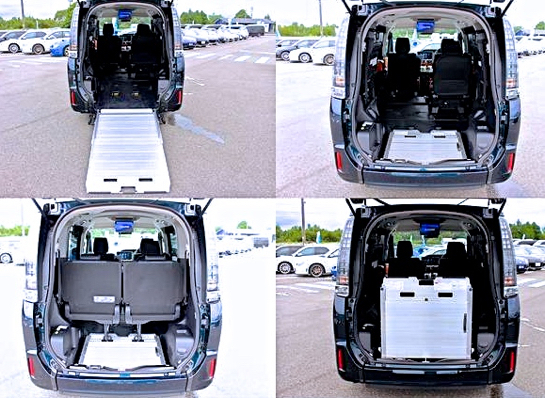 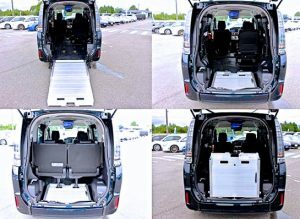 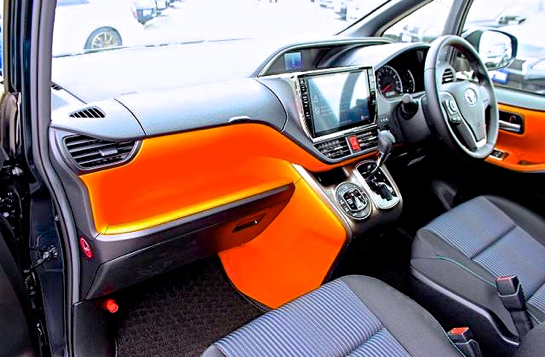 It also has the unique capability for a car, in that it can carry either 2 wheelchairs or position a single wheelchair in 2 different positions inside the car itself. 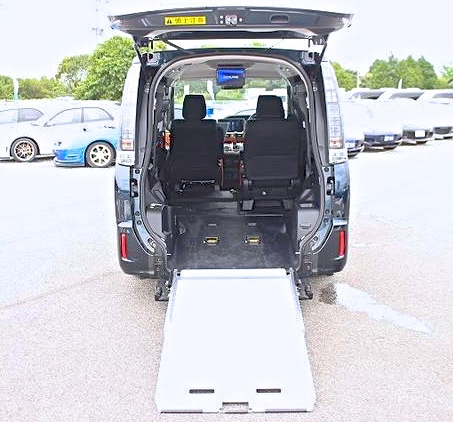 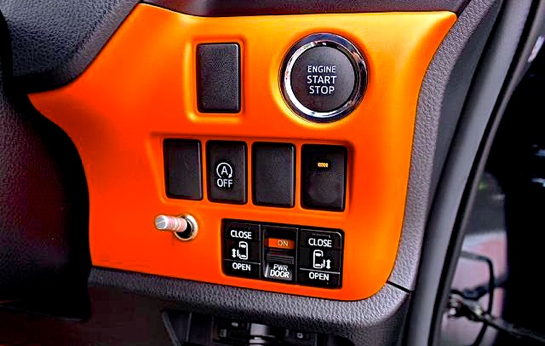 Both wheelchair positions have electric winch capability as well as electronic high tensile stabalising belts that secures either one or both wheelchairs into position. 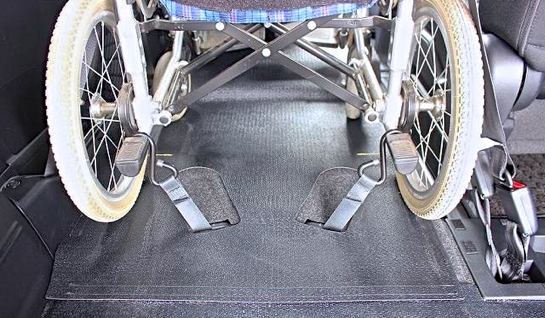 The dual wheelchair position is fantastic for both families and individuals in that they no longer need to possibly feel that they are excluded in any banter that may be happening in the car, as they now can position themselves right behind the font passenger, right in the middle of things.